With the abundance of SUVs and trucks on the road these days, the issue of what would happen when a higher SUV bumper collides with a car. 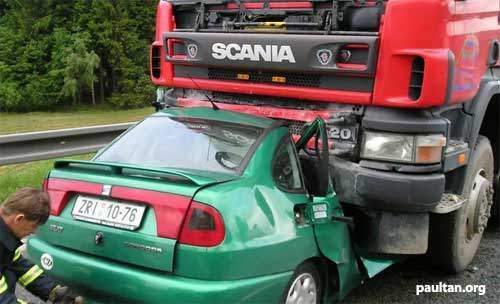 Most of the times, the car would slide under the SUV, increasing the chances of fatality in the accident. Nine major automakers agreed last Tuesday to begin installing beams that meet a new strength test by September 2009. Currently blocker beams are already in place after a new ruling was made in 2003, but the effectiveness of these beams are debatable. Strangely, the decision to redesign and retest safety beams for such collisions was opposed by Ford and DaimlerChrysler. However reasons are unknown as meetings between officials are private.